The girls voted on helping those in need by conducting a food drive to donate to the North Haven Food Bank. 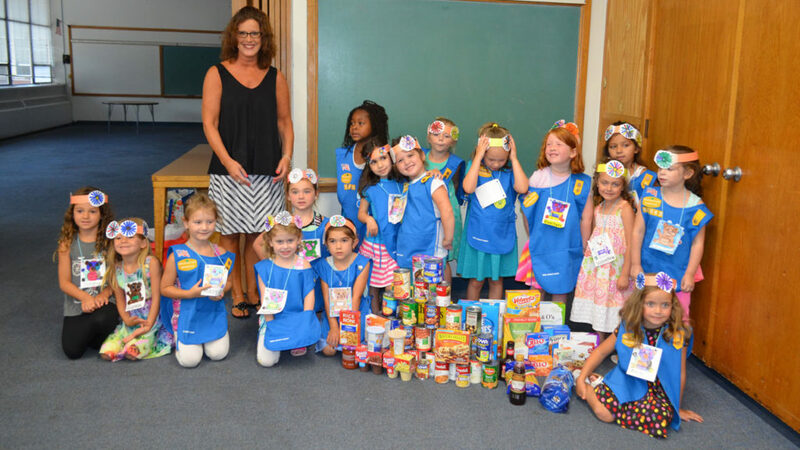 North Haven Summer Daisy group held their first Community Service project during their 4 week program. The girls voted on helping those in need by conducting a food drive to donate to the North Haven Food Bank. They invited Kim Bracale, Food Bank Administrator to join them at their ceremony on July 29th.